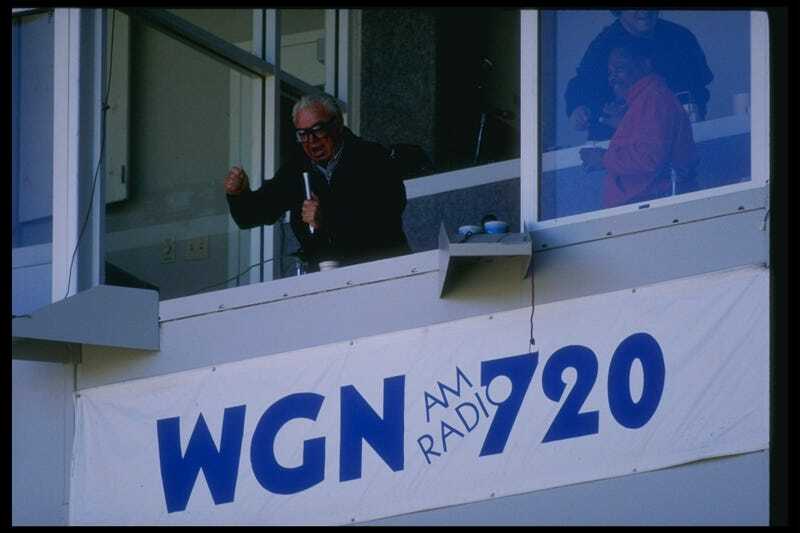 Harry Caray last called a game on September 21, 1997, so some out there might only be familiar with the Cubs broadcaster of 16 years thanks to Will Ferrell's barely coherent send-up. After a glimpse into his partying expense diary, that send-up is probably close enough. In 1972 Caray was not yet with the Cubs—he was on the South side with the White Sox—and not yet as financially secure as he would come to be. So, notorious boozer that he was, he expensed his time out. Meticulously. The CEO of Caray's restaurant chain got his hands on his expense diary for the year and shared it with the Chicago Sun-Times. It's full of antiquated charm, like reporters hanging out with players, and lots of booze. Lots of booze. Saturday, Jan. 1, lists four bars: the Back Room, still on Rush Street, plus three long-ago joints: 20 E. Delaware, Sully's and Peppy's, with expenses for each $10.30, $9.97, $10, and $8.95. This in a year when a six-pack of Old Style set you back $1.29. The diary is also a who's who of local scribes, athletes, and owners that he boozed up. Names like Wilt Chamberlain, Jack Dempsey, Gale Sayers, and Joe Pepitone pop up in various cities across the country and hung out with Caray in 61 different bars that year. "These guys did nothing but go out and have a few cocktails," said Jimmy Rittenberg, who owned Faces, which Caray visited 14 times in 1972. "I don't know how they did it. They were 20, 30 years older than me and I couldn't keep up with them." Jan. 16 something unusual happens. Caray is in Miami, yet there are no expenses, just one enigmatic word, "Super." After that break, if indeed it was, comes 288 consecutive days in bars, not only in Chicago, but New York City, and of course on the road with the Sox, beginning with spring training in Sarasota. "Super" on January 16, 1972 is a clear reference to Super Bowl VI—the Cowboys beat the Dolphins 24-3 that day. I think we can safely assume Harry had a few cocktails that day, too. So really, the streak is even more impressive. In all, he expensed his time in various bars 354 out of 357 days that year. He finally stopped on Dec 24th. To take a vacation.